Mari Mack Music: OCTOBER 14th : China Camp Celebration ! 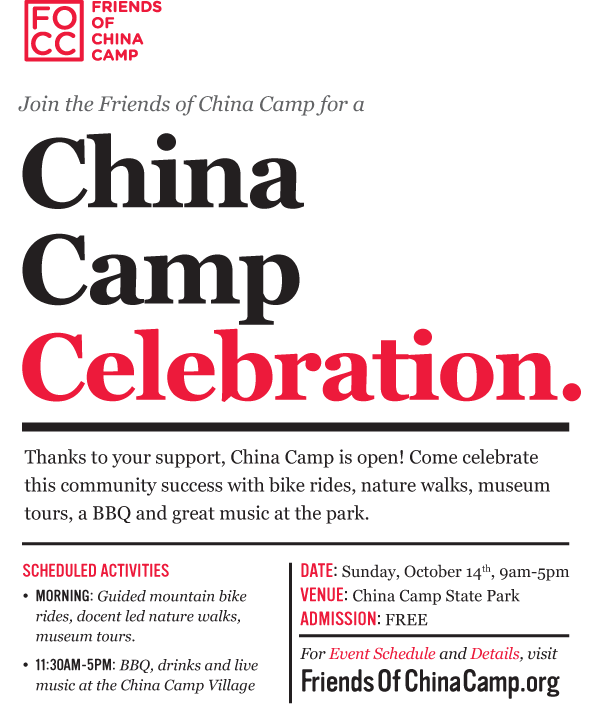 OCTOBER 14th : China Camp Celebration ! Hello - it's me again! 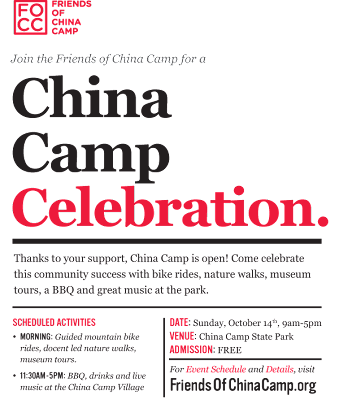 China Camp is open - and it is time to say THANKS TO YOU! Please JOIN US to celebrate this community success on Sunday, October 14 - Admission is FREE! Bob Gordon will spin his music industry tales! Here's the flyer - hope you can make it! !